Head to Indy for concerts, museums, history, transportation and endless fun throughout spring, summer and fall (winter’s cold!) The best things in life are still free, at least in Indiana’s capitol of Indianapolis. Spend the day listening to music, learn about the city’s rich history, get involved in the Arts, and make your way through downtown: all for free. You might discover that Indianapolis doesn’t always get the recognition it deserves for being a thriving urban center, despite the fact that it’s the nation’s 14th largest city. But since the 90s, Indy has experienced a dramatic revitalization and renaissance to blend cosmopolitan style with small-town charm, attracting over 20 million visitors each year. And that makes Indianapolis a great family vacation destination. You could spend the whole day at White River State Park (801 West Washington Street, Indianapolis, IN 46204) and never run out of things to do. There are low-cost attractions including the Zoo, Indianapolis Indians minor league baseball team, Eiteljorg Museum — an amazing collection of Native American arts, IMAX Theater, and Indiana State Museum. But there’s also plenty of no-cost fun at Indiana’s only urban park. Get started with a stop at Dr. Frank P. Lloyd Sr. Visitor’s Center for free maps, brochures, public restrooms, and information to get yourself acquainted with everything the park has to offer. Next, settle in for the evening at the park with free summer concerts at the Farm Bureau Insurance Lawn. The kids can play and get with the beat while parents enjoy their own evening out under the stars. Award-winning artists present music ranging from bluegrass, alternative, rock, classical and more. You can see a list of upcoming events at White River State Park. The City Market (222 East Market Street, Indianapolis, IN 46204) is a perfect place for families to eat, drink, explore, and be entertained. Enjoy the Farmers’ Market on Wednesdays during the summer featuring local produce, meats, cheeses, flowers, honey, and more, plus First Friday of the month art fairs. After you’ve relaxed over a low-cost taco or roti lunch, or a snack in fresh produce, inquire about seeing more. The market runs free, 45-minute guided tours that give guests the history and a chance to ask questions. There are periodic free tours of the Underground Catacombs, the sub-structure under the former Tomlinson Hall next door. This auditorium with underground passageways was replaced by an office building years ago, but The Catacombs, where City Market merchants stored goods and took breaks, still remain. Closed Sunday. The Garfield Park Conservatory (2450 South Shelby Street, Indianapolis, IN 46203) lies on 136 acres within Garfield Park and features more than 500 tropical plant varieties and a 15-foot waterfall. Their crowning glory lies within the Sunken Gardens, an array of classical European Gardens with historic fountains, paved walkways, and benches. Take a walk or attend workshops, gardening demonstrations, and guest lecturers on horticulture and landscaping. For a frugal treat, take your toddler (ages 2-5) to the frequent walks and workshops at $5 for nature-related stories, activities and crafts. General admission is just $2. Conservatory daily hours 10am-5pm; Sunken Garden summer hours (April-October) 10am-10pm, winter hours (October-April) 10am-5pm. Indiana’s past is rich with history, conflict, and loyalty and is memorialized by the numerous historical stops and statues. Almost 75% of their eligible men served in the Union army and, after Washington D.C., Indiana is the state with the greatest number of war memorials in the country. The Indiana War Memorials, especially the main Shrine at Indiana War Memorial Plaza (431 North Meridian Street, Vermont between Meridian and Pennsylvania, Indianapolis, IN 46204) at the head of the American Legions Mall, are quite remarkable examples of 1920s civic architecture. Give the family a history lesson on World War I & II and the Korean and Vietnam Wars while paying tribute to soldiers lost. You can also drop in the military museum with free admission to checkout the weapons, uniforms, flags, jeep, and helicopter. Admire the murals in the Shrine’s Pershing Auditorium and the 110-tall, stained glass lit memorial, whose ceiling is decorated with lit stars. There’s no charge to enter; open Wednesday to Sunday. Pay your respects to the 3,410 recipients of the Congressional Medal of Honor Memorial in White River State Park along the Canal Walk. Open 24-hours a day, seven days a week, the one-acre memorial boasts 27 curved walls of glass, each between seven and 10-feet tall. Stop by at dusk and listen to the daily memorial recording of stories of medal winners and the battles they fought. History buffs head to the highest point in Indianapolis, the Crown Hill Cemetery (700 West 38th Street, Indianapolis, IN 46208). You’ll enjoy inspired city views from this fourth largest cemetery in the nation, opened in 1864. Intrigue your kids with stories of the burial place of bank robber John Dillinger, over 1,600 Confederate soldiers, and President Benjamin Harrison. Private and public tours of the cemetery (and ghost tours in October) are also available for a nominal fee. Combine a history lesson with fun outdoors with music, dancing, and food at the Indiana Historical Society (450 West Ohio Street. Indianapolis, IN 46202). The Center offers year-round exhibits, educational programs, and information on the preservation and community outreach to bring history to the public. Their summer concert series along the Canal is offered Thursday evenings, May to July, when admission to the collection is also free. The Canal even has old-fashioned gondola rides and an electric . 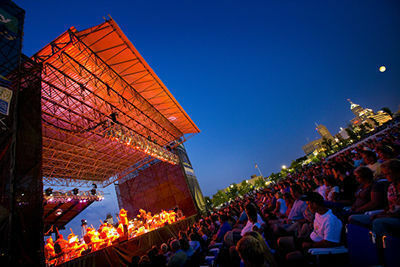 For concerts, guests can bring their own lawn chairs or blanket to sit on with a picnic or purchase boxed dinners on site. Space is limited, so get there early to enjoy a little music. Music fans should not miss the Cole Porter Room inside the museum, with a collection of the great hometown composer’s memorabilia and instruments — he was born in Peru, Indiana. 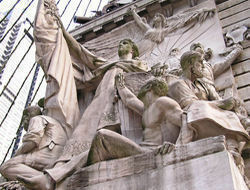 Head to the heart of downtown to Monument Circle where you’ll find the Soldiers’ and Sailor’s Monument. You’ll recognize it as the centerpiece of the city with a fountain surrounded by locals enjoying their lunch break during warm weather. Climb the 330 steps to the top for panoramic views. If the kids are already tired from a day of playing at White River Park, skip the climb and ride the elevator to the top. WEdnesday to Sunday, enjoy free admission to the lower level of the Col. Eli Lilly Civil War Museum to honor Indiana natives who lived, fought, and died during the Civil War. If you’re wondering what the $12 million glass-enclosed structure suspended above the corner of Washington and Illinois Street is, come by and find out. Seven stories from street level, the ArtsGarden holds up to 600 people and offers more than 250 free arts activities, dance performances, storytelling, visual art exhibits, musical performances, films, lectures, readings, fairs, and festivals each year. They frequently entertain with free lunch performances for locals and visitors alike. Open dialy during Circle Mall hours; events schedule online. Art-minded families head to the Herron School of the Arts at Indiana University-Purdue University Indianapolis (735 West New York Street, Indianapolis, IN, 46202) for free lectures. If the expression “free lectures!” doesn’t exactly entice the kids, how about free admission to their exhibits located at Eskenazi Hall and the Eskenazi Fine Arts Center, featuring a sculpture garden and local artists? If all else fails, older kids might like a tour around campus for a sneak peak at college life. Open Monday to Friday and some weekends. The Indianapolis Art Center (820 East 67th Street, Indianapolis, IN 46220) emphasizes community outreach and supports local artists through free exhibitions, classes and learning laboratory along the White River. It includes a 40,000-square-foot facility designed by world-renowned architect (and Hoosier) Michael Graves in the heart of the fun Broad Ripple neighborhood. In addition to a 9.5-acre public garden featuring a diverse plant life, unique art sculptures and art installations; there are 13 state-of-the-art studios, three major fine art galleries and five exhibition halls, a 224-seat auditorium, Studio Shop, and library complete with a two-story atrium. Ongoing youth and adult workshops run year-round. Open daily. Summer, moderately warm and often humid, is the high season for visitors. You’ll find bargain lodging on Airbnb, all around town, and Broad Ripple is a great neighborhood for families. The very convenient Downtown Indianapolis has a plethora of hotels, including all the major chains. Couples will find the high-style Le Meridien Indianapolis a convenient and comfortable choice, with 100 compact rooms. Another top pick is the Conrad Indianapolis, which offers 241 guest rooms, all with upscale amenities, loaners cribs and high chairs, a fitness center, indoor pool, spa, and sauna. On weekends, the rates really fall at convention center hotels downtown. For another central hotel option, try the Downtown Indianapolis Hilton (120 West Market Street, Indianapolis, IN, 317/972-0600). Large family sized rooms are available with a separate bedroom for Mom and Dad, a pull out couch, and two bathrooms. A swimming pool and fitness center is on site. For kids, children’s menus, playpens, cribs, high chairs, and family packages are available. For added convenience, the Hilton is within walking distance to the Capitol building, Indiana’s charming canals, downtown area, kid-friendly activities, and museums. Now that you’re officially a ‘Hoosier,’ see more low-cost and no-cost ideas on Indianapolis, visit Indianapolis Tourism for more information. 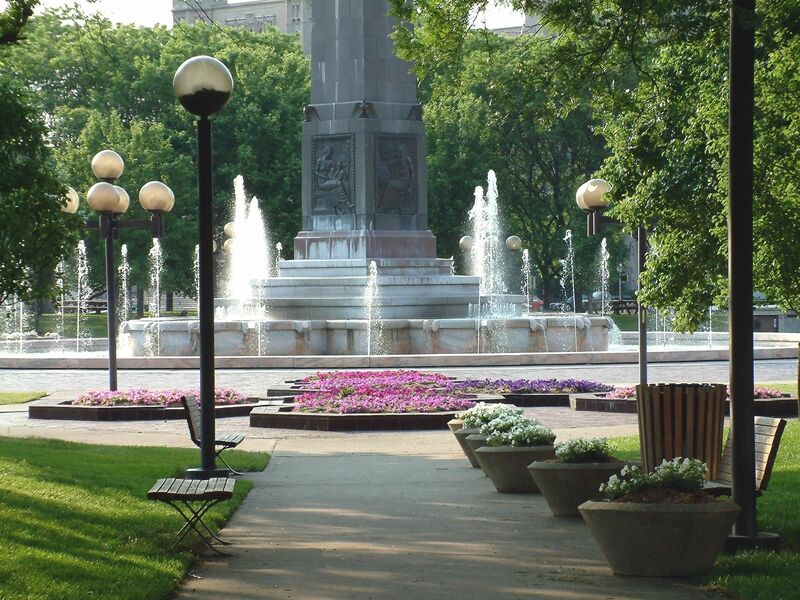 Indy is a great place to visit … so many things to do, yet very walkable and convenient. And affordable. Thanks for all the great budget friendly tips. My wife and I love taking a bike ride or our dogs for a walk on the Monon Trail. Stop in at BRICS (Broad Ripple Ice Cream Shop) for a tasty treat! Also, we lived here for quite some time before we discovered Holiday Park – they have a great playground for kids.